Good news, RoboCop fans. Jose Padilha’s remake adheres to the character’s roots and in a way, proves superior to the 1987 version starring Peter Weller. I admit: I had low expectations at first. As it turns out, the film was way better than I expected, and I mean way way better. The 1987 movie was pure entertainment, but it wasn’t a masterpiece and left a lot to be desired. The new version, directed by Padilha and written by Joshua Zetumer introduces some new concepts and characters while essentially following the original screenplay. One of the film’s chief virtues is Samuel L. Jackson, who has real screen presence here and who basically steals every scene he appears in, playing Pat Novak, the host of a TV show called “The Novak Element”. He’s a big reason this version succeeds as well as it does. Michael Keaton plays the CEO of OmniCorp, who’s about to put a man inside a machine and give the people “a figure they can rally behind”. His lab rat? Badly injured Detroit cop Alex Murphy (a solid Joel Kinnaman), who wakes up 3 months later only to find that what remains of his body is now inside a metal suit. If you’ve seen the original film, you probably know what happens next. Naturally, the meat of the picture lies in its action scenes and special effects, and these are first rate, for the most part. Other key roles are filled by a good cast, including the great Gary Oldman as RoboCop’s “inventor”, Jackie Earle Haley and Abbie Cornish as Murphy’s wife. 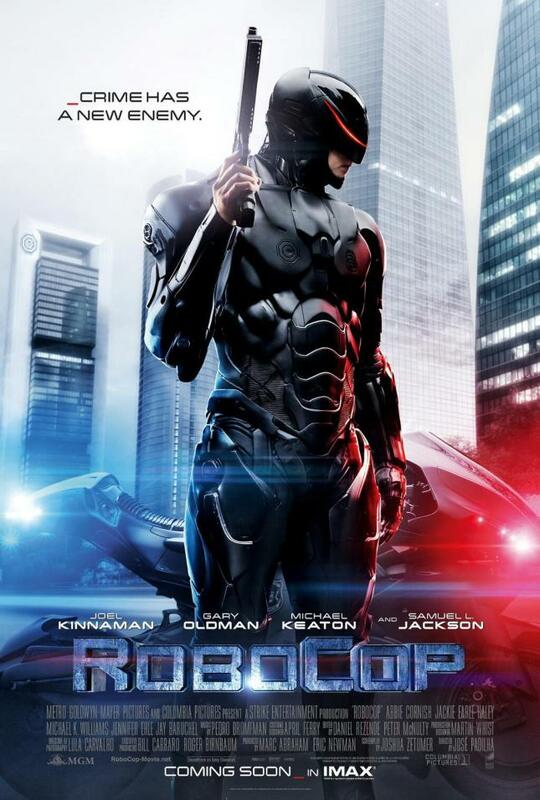 “RoboCop” has a vigorous and interesting story to tell. The film has its cheesy moments, but overall it’s highly entertaining. It may be brutal and too violent at times (especially for kids), but eventually it’s the human element that matters most, and the filmmakers never lose sight of that. This is a rare example of a remake that actually works.